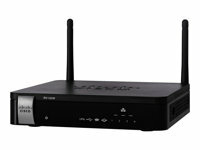 The Cisco ® RV042 Dual WAN VPN Router delivers highly secure, high-performance, reliable connectivity - to the Internet, other offices, and employees working remotely - from the heart of your small business network. This proven router provides the performance and security you need to help keep your employees, and your business, productive. The Cisco RV042 enables two connections, either to a single service provider, with load balancing to improve performance, or to different providers to support business continuity. High-capacity virtual private network (VPN) capabilities let multiple offices and dozens of employees access the information they need from anywhere, just as securely as if they were working at your main office. To further safeguard your network and data, the Cisco RV042 includes business-class security features and optional cloud-based web filtering. Configuration is a snap, using an intuitive, browser-based device manager and setup wizards. 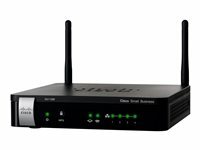 The Cisco ® RV042G Dual Gigabit WAN VPN Router delivers highly secure, high-performance, reliable connectivity-to the Internet, other offices, and employees working remotely-from the heart of your small business network. This proven router provides the performance and security you need to help keep your employees and your business, productive. The Cisco RV042G enables two connections, either to a single service provider, with load balancing to improve performance, or to different providers to support business continuity. High-capacity virtual private network (VPN) capabilities let multiple offices and dozens of employees access the information they need from anywhere, just as securely as if they were working at your main office. To further safeguard your network and data, the Cisco RV042G includes business-class security features and optional cloud-based web filtering. Configuration is a snap, using an intuitive, browser-based device manager and setup wizards. Get Optimal Performance, Security, and Reliability Keep your employees, your business, and yourself productive and effective. 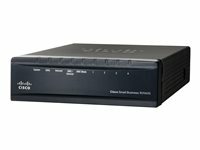 The Cisco RV320 Dual Gigabit WAN VPN Router is an ideal choice for any small office or small business looking for performance, security, and reliability in its network. Online Device Emulator: Browse through Cisco Small Business product management and configuration features. In an ever-changing business environment, your small business network has to be powerful, flexible, accessible, and highly reliable, especially when growth is a high priority. Your network must also be able to adapt cost-effectively to these growth spurts. 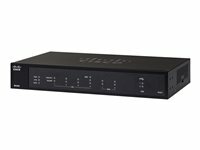 The Cisco RV320 Dual Gigabit WAN VPN Router is the choice for any network in which performance, security, reliability, and adaptability top the list of requirements. The RV320 supports two connections to one service provider, delivering high performance by using load balancing, or to two different providers to deliver business continuity. High-capacity virtual private networks (VPNs) connect multiple offices and enable dozens of employees to access the information they need from any geographic location just as securely as if they were working at your main office. Performance, Flexibility, Security in One Device The Cisco RV325 Dual Gigabit WAN VPN Router is a perfect choice for companies that need a combination of performance, security, reliability, and flexibility. You can connect its dual Gigabit Ethernet WAN ports to one service provider, for high-performance networking with load balancing. In an ever-changing business environment, your small business network has to be powerful, flexible, accessible, and highly reliable, especially when growth is a high priority. Your network must also be able to adapt cost-effectively to these growth spurts. 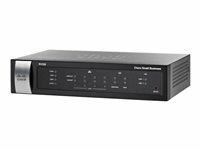 The Cisco RV325 Dual Gigabit WAN VPN Router is the choice for any network in which performance, security, reliability, and adaptability top the list of requirements. The RV325 supports two connections to one service provider, delivering high performance by using load balancing, or to two different providers to deliver business continuity. High-capacity virtual private networks (VPNs) connect multiple offices and enable dozens of employees to access the information they need from any geographic location just as securely as if they were working at your main office.